Follow River Ruckus on Facebook for the latest news and announcements about the Band Lineup and Set Schedule, the Classic Car Show, the Fireworks, the Food Vendors, our Awesome Sponsors, and Family Fun. Please LIKE and SHARE to spread the buzz! From Team Haverhill to River Ruckus! From River Ruckus to the World! 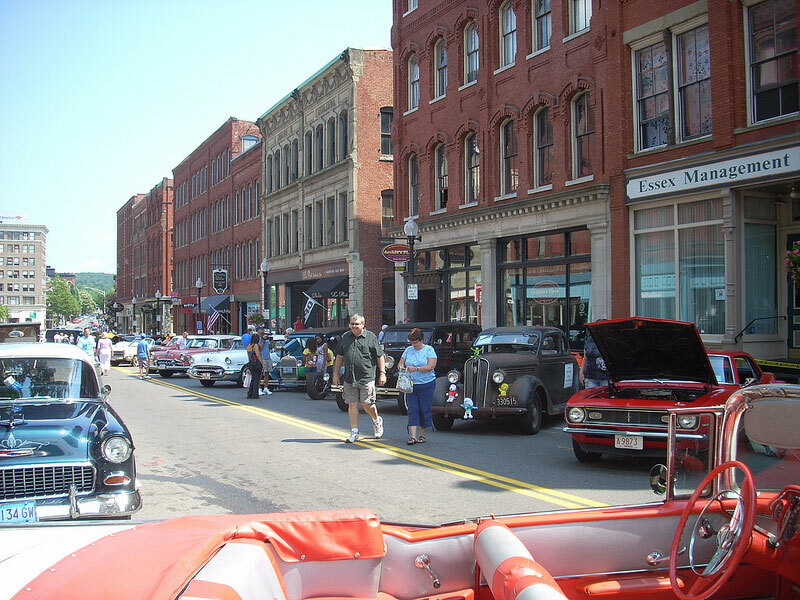 Please note: Washington Street will be closed to all traffic from 10:00 am until 3:00 pm on Saturday for the Classic Car Show. We will post reminders and parking information as we get closer. Thank you for NOT SMOKING at Team Haverhill’s River Ruckus. 12:00 -1:00 pm Crew Exhibition The Haverhill High School Crew Team will use the River Ruckus as the finish line for their exciting crew exhibition. 1:00 & 2:00 pm Riverfront Cultural District Tours Buttonwoods Museum guides a short walking tour exploring the Queen Anne style architecture of historic downtown Haverhill. Tours leave on-foot from the Team Haverhill booth. WXRV 92.5 the River once again brings a great lineup of bands to the River Ruckus Stage. Stage management provided by DreamWeaver Presents. 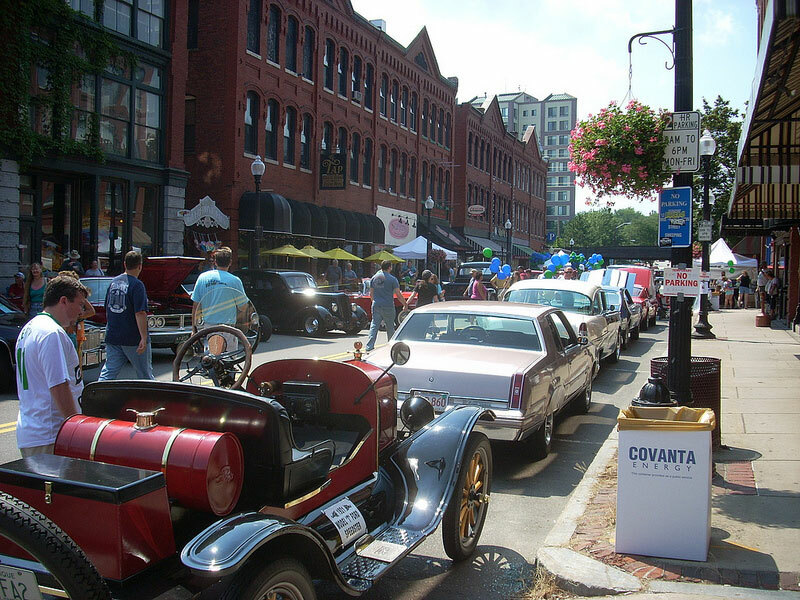 The Classic Car Show brings over 50 cars to Washington Street. 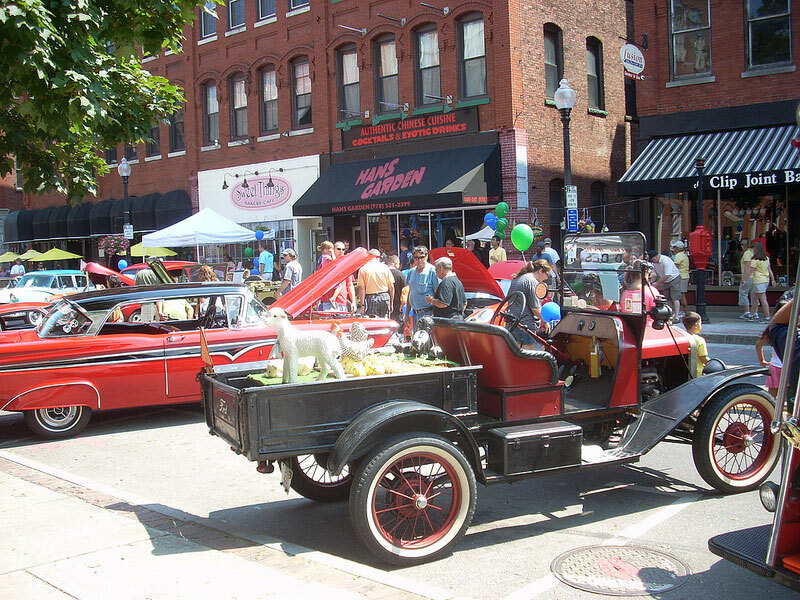 Antiques, classics, muscle cars, hot rods, specialty cars and their proud owners gather for the afternoon. Once again, HC Media’s Frank “I’m just along for the ride” Novak will do a car commentary for HC Media, channel 22, Haverhill. Let us know in advance with a post to River Ruckus on Facebook and tell us what kind of car you are bringing and Frank will talk about your car on the air! He will talk to you, too, and you can see the show later on tv! Team Haverhill appreciates the ongoing support of Haverhill Bank as the sponsor of the Classic Car Show for the sixth year. Zumba… yes… ZUMBA! High-energy, great music, a dance workout for the whole family! No experience necessary, really! Led by our energetic local instructors. Kids love this so bring them and have some fun! Join the Team Haverhill girls and guys give it a try. Baila! Watch and cheer along the Haverhill High School Crew Team in this exhibition race on the mighty Merrimack River. 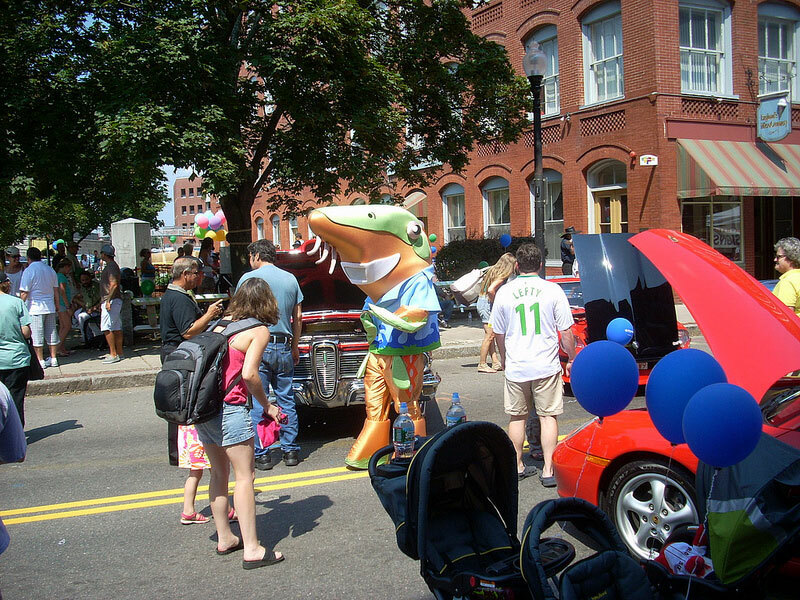 Kids Zone activities include Mass Audubon’s Joppa Flats Traveling Touch Tank, a bouncy house basketball, sidewalk chalk art, a balloon artist, arts & crafts, games and more. The Kids Zone is organized by Haverhill YMCA. Professional face painting from Fun Face Express will be at the festival as well. 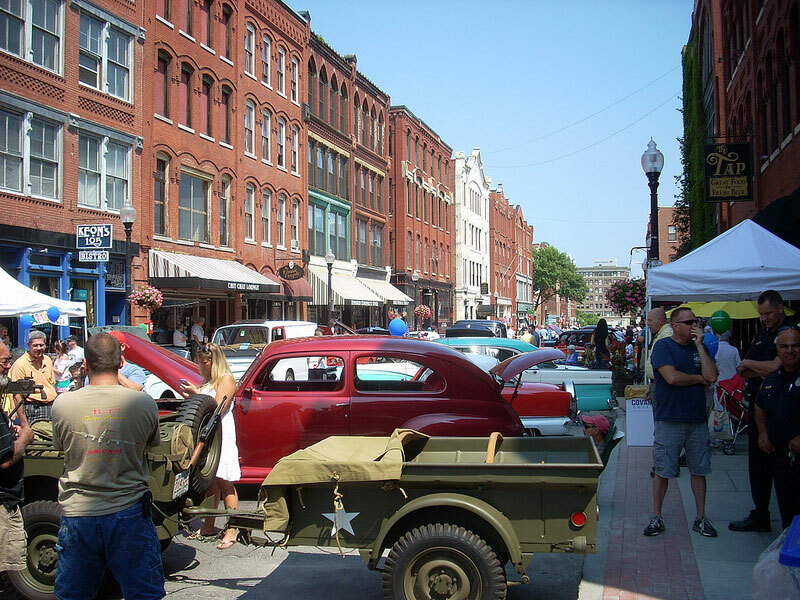 You are invited you to stroll through Haverhill’s history along the streets of Downtown Haverhill. 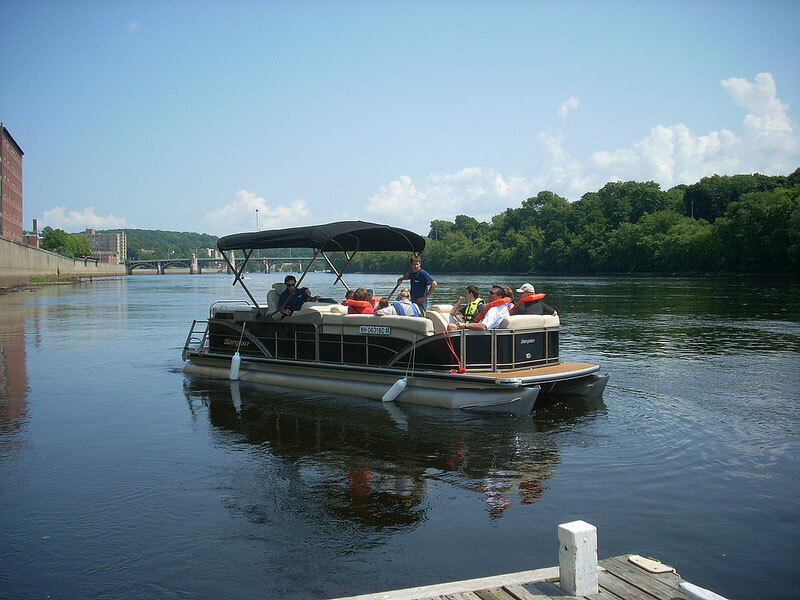 The tours are a fun and educational way to do something different at River Ruckus! Tours will leave from the Team Haverhill Booth and will take about one hour. The CASH PRIZE grows over the course of the day! Tickets will be sold at the Team Haverhill’s River Ruckus booth. Tickets are $5/one ticket, $10/three tickets and $20/ten tickets. 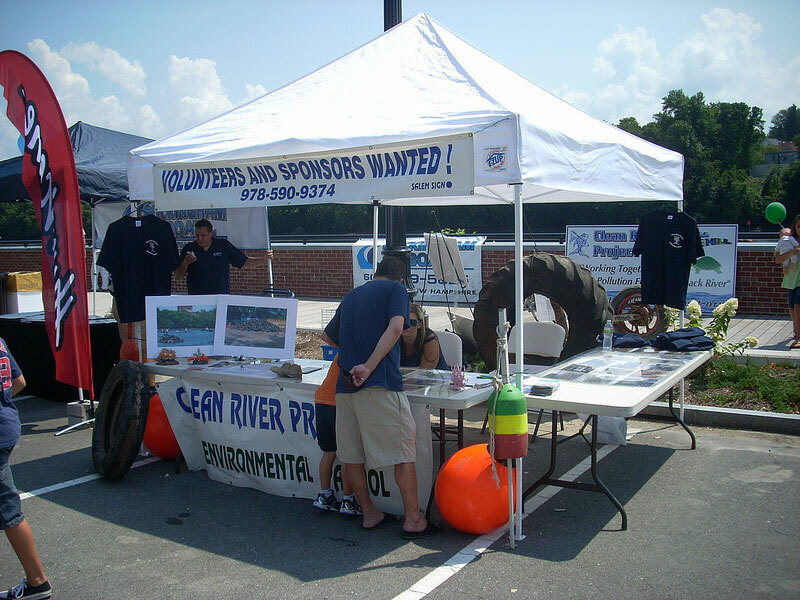 Cash prize will be split 50/50 with Team Haverhill’s River Ruckus. Additional prize baskets containing local restaurant gift certificates and more will be given away between music sets throughout the day with winning tickets being thrown back in for the CASH PRIZE to be drawn on the Riverfront Park stage just before the fireworks! BEST. FIREWORKS. EVER. Boom!…boom boom boom Boom! 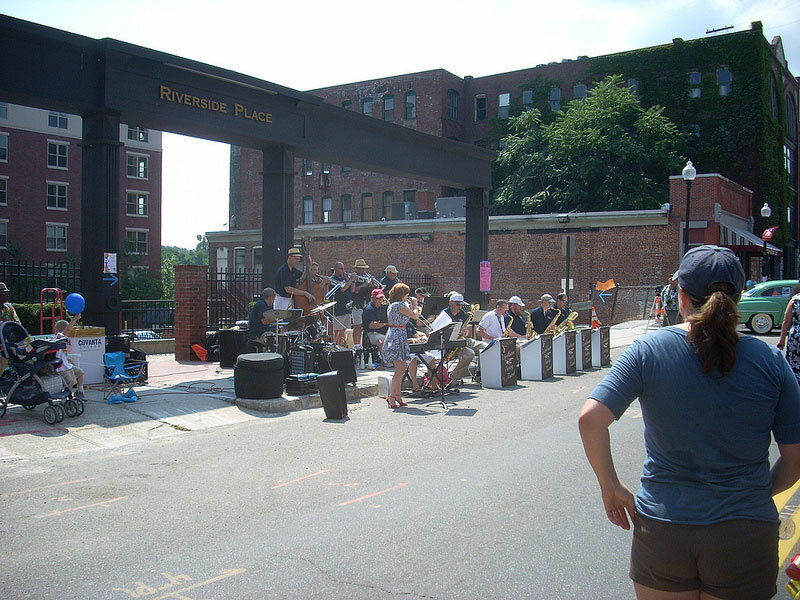 River Ruckus was born at Possible Dreams in January of 2010 as a “dream” of bringing the community together for a day of family fun along the Riverwalk and the Riverfront Cultural District; to boost the local economy; and to boast about what Haverhill has to offer. 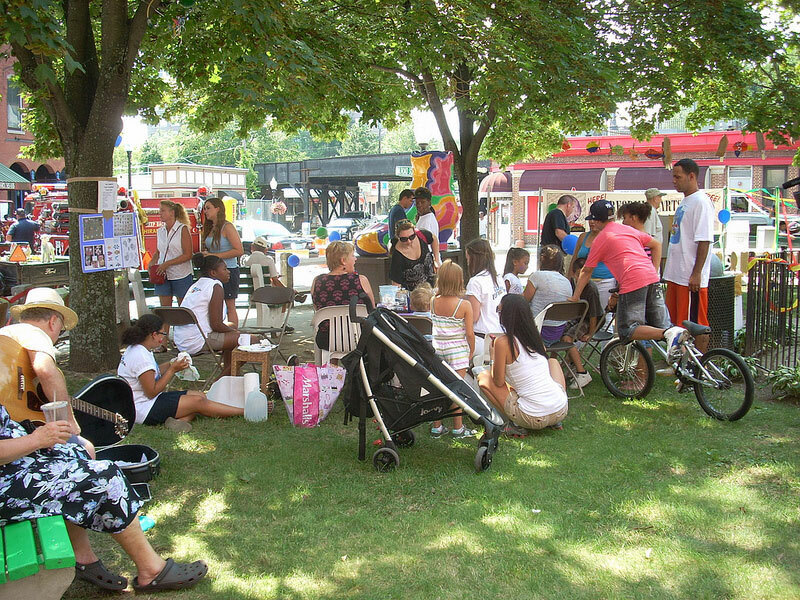 A team of dedicated Team Haverhill volunteers pulled together the first event in August, 2010. 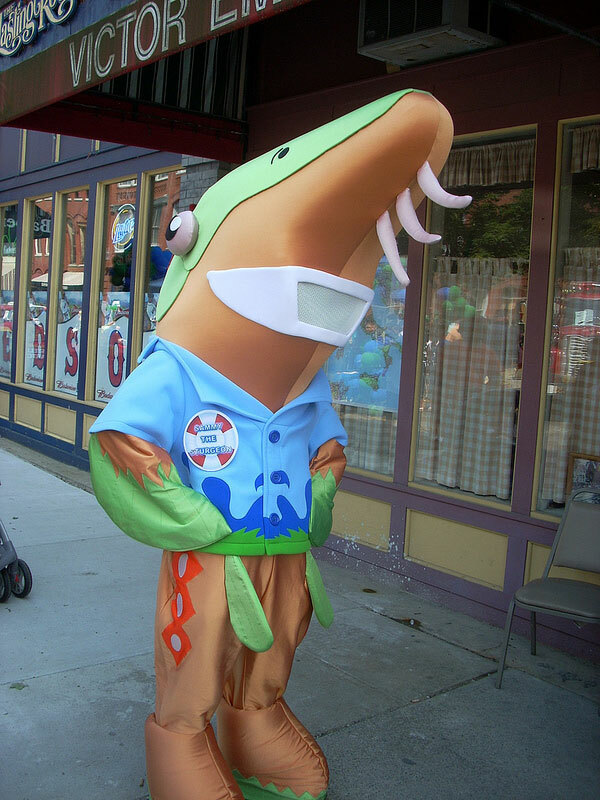 Our original festival mascot was “Sammy the Sturgeon” chosen because there are sturgeon living in the Merrimack River in the environs of the Bassiliere Bridge. While the sturgeon used to be prolific in the river, it is now protected as an endangered species. Sammy is pictured in our former logo and he still appears at the festival to the delight of the children. 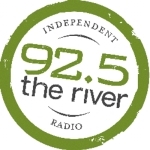 Our new logo conveys the spirit of THRR: our love for the mighty Merrimack River, our passion for live, local music, and the excitement and spectacle of the fireworks over the river. 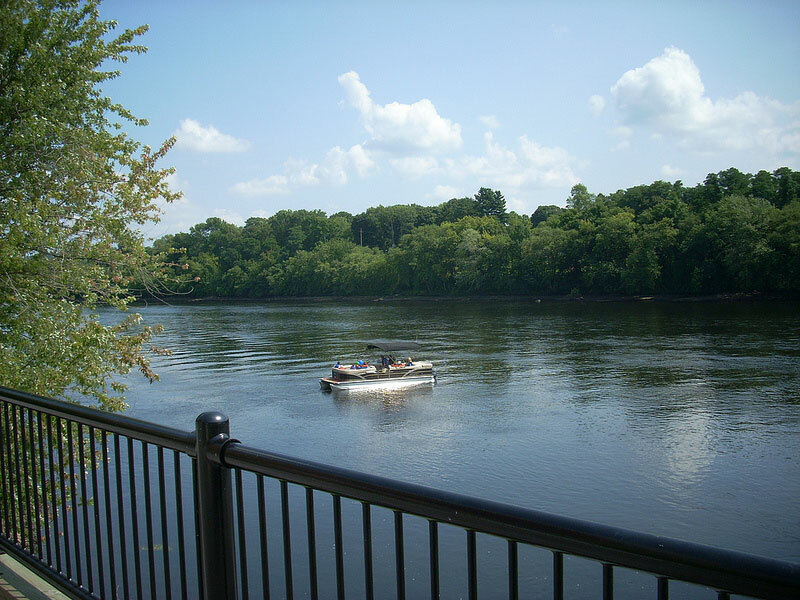 We think it says that Team Haverhill’s River Ruckus is a rockin’ good time for everyone! 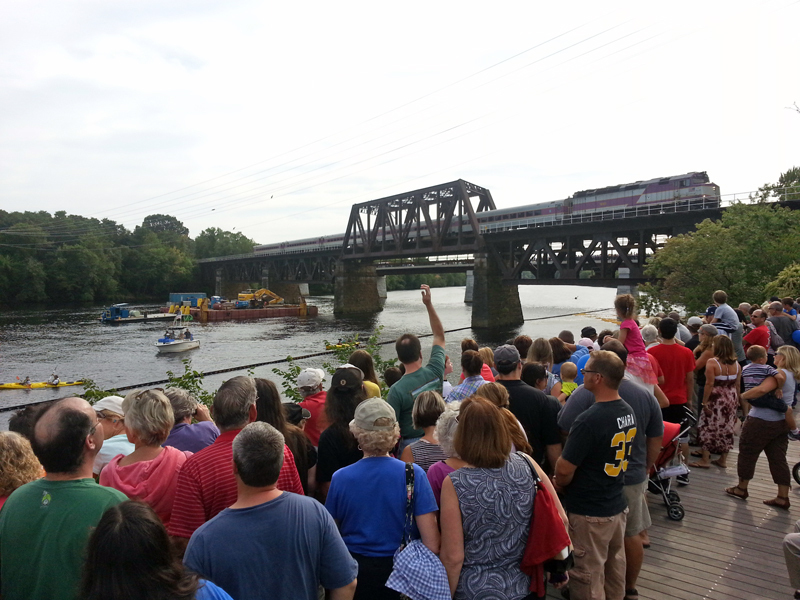 Like and Share us on Facebook for breaking news, announcements and the backstories of Team Haverhill’s River Ruckus. Look through the photo gallery for memories of past events. The Facebook wall is open so post your stories and photos and tag us (#teamhaverhillsriverruckus) in your pictures! We’d love to see them!